Do you travel for your J-O-B and give up on health and fitness because it's too hard to eat right and exercise? Are you a constant multitasker that can't seem to cut down on that task list? Have you walked miles in the airport, sweated in the hotel fitness center, wasted time tracking miles and left your cord in a coffee shop outlet? Marcey Rader, The MoPro Coach and Lifestyle Trainer to Mobile Professionals, is a NASM Certified Personal Trainer and PEI Certified Productivity Coach, who traveled in the corporate world for 13 years. She knows first hand that business travel isn't part of your job, it's a lifestyle. She'll teach you the hacks you need to be healthy and productive in the areas of 1) Air Travel 2) Hotel 3) Auto 4) Mobile Office 5) Parties/Conferences/Meetings 6) Home Small changes create big results over time. Hack the Mobile Lifestyle incorporates behavior change into delivering the life you want to lead. Quick, easy steps that provide solutions to your mobile issues. 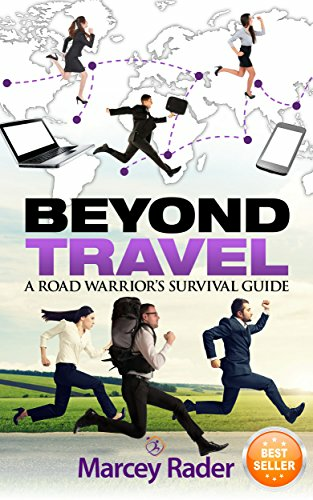 Chapters include topics such as Airport Nutrition, Airport Meetings, Packing for Travel, Suitcase Essentials, Sleeping on the Road, Hotel Safety, Stress Reduction, Mobile Productivity, Email Management, Task Prioritization, Time Management, Virtual Assistants, The #1 Biggest Mistake at Parties and Meetings, Relationships and Connection and Making Your Home Easier for Travel, and much more! It doesn't matter if you travel internationally, domestically or locally, if you spend time being mobile for your job, this book is for YOU! Stop making excuses and start maximizing your health and productivity. If you want to Work Well, Play More and feel like a superhero - click on the orange 'ORDER' button in the top right corner of this page!